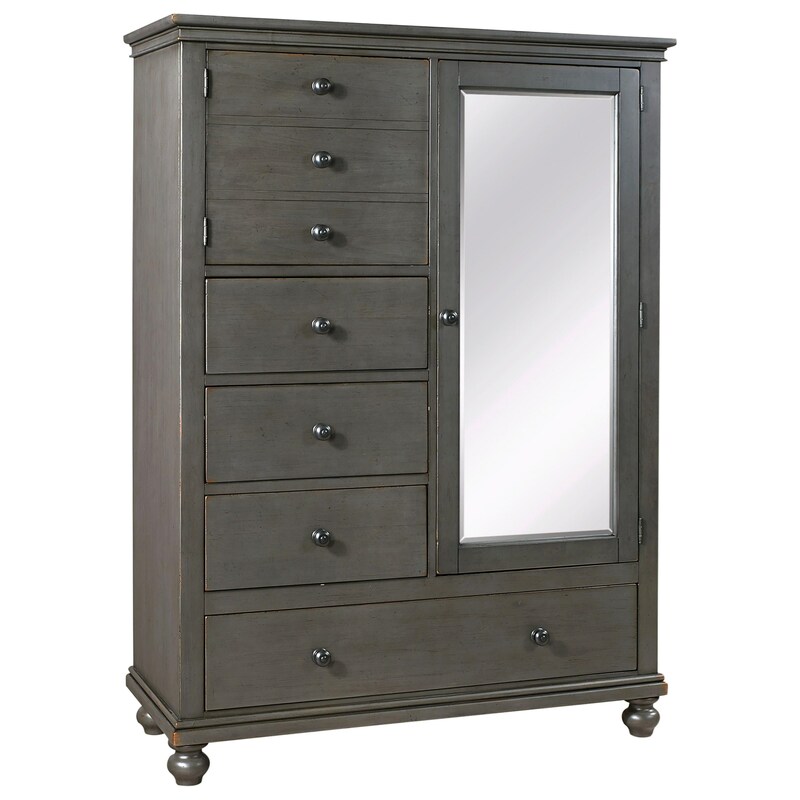 Offering impressive storage space and attractive transitional style, this is the perfect piece to add to your master bedroom. This door chest provides enough room for all your bedroom items with four drawers including one felt-lined top drawer and one long cedar-lined bottom drawer, removable shelves, one short door and one long mirrored door revealing a convenient clothing rod. 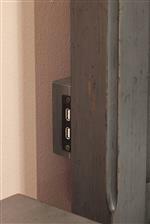 Boasting defined lines, simple hardware and classic bun feet in a dark peppercorn finish, this transitional piece will make a wonderful addition to your home. 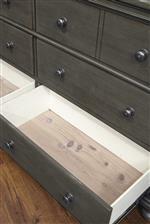 The Oxford 4 Drawer Chiffarobe by Aspenhome at HomeWorld Furniture in the Hawaii, Oahu, Hilo, Kona, Maui area. Product availability may vary. Contact us for the most current availability on this product.